Please welcome today writer Kim Cotton who runs the gorgeous French Heart Store from her Spirited Mama blog. Kim’s family has visited Symbio Wildlife Park over many years and you’ll see a lovely photo of three generations of her family. 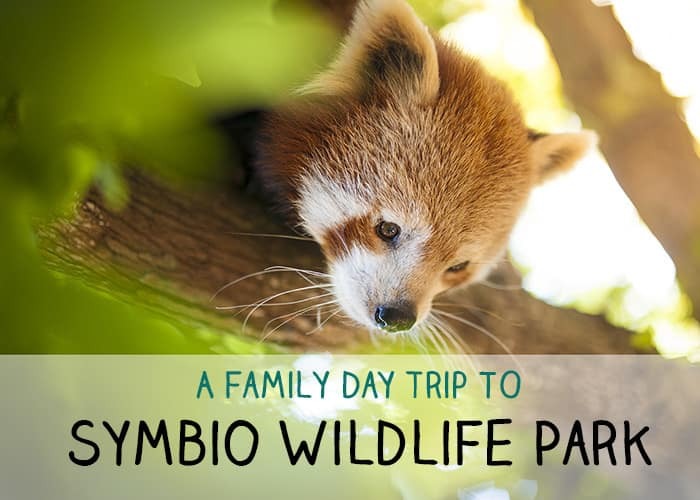 If you’re looking for a knockout day trip with the kids and friends, or a birthday party venue, go to Symbio Wildlife Park. 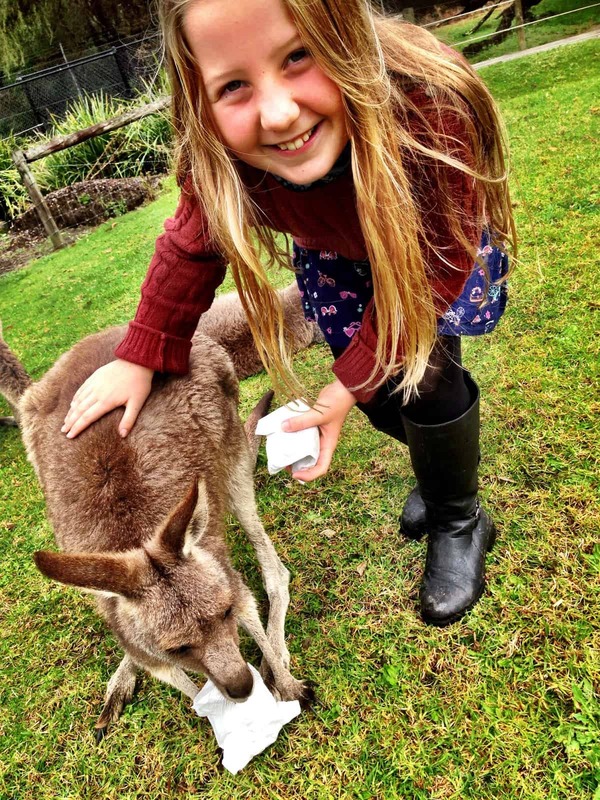 Symbio is the kind of place that’s got the lot: adventure, space, safe environment, educative, fun, and outdoors so the kids can get a little free range. The park is located just outside of the city in Helensburgh, at the tip of the Illawarra Riviera, so be prepared to smell the gum leaves and feel the city stress float away en route. When you arrive space is ample giving you room to recharge even further. Parking is no fuss and there are a load of green grassy options in which to have a picnic or a children’s birthday party. There’s even an enclosed swimming pool for the long hot summer days. 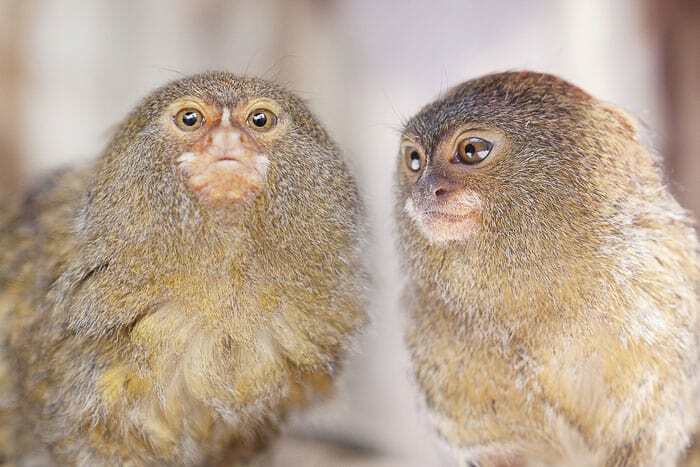 But if you’re seeking a real wildlife experience with an educational focus Symbio is gold. When the promotion points to being up close to the animals the park owners mean it from every vantage. 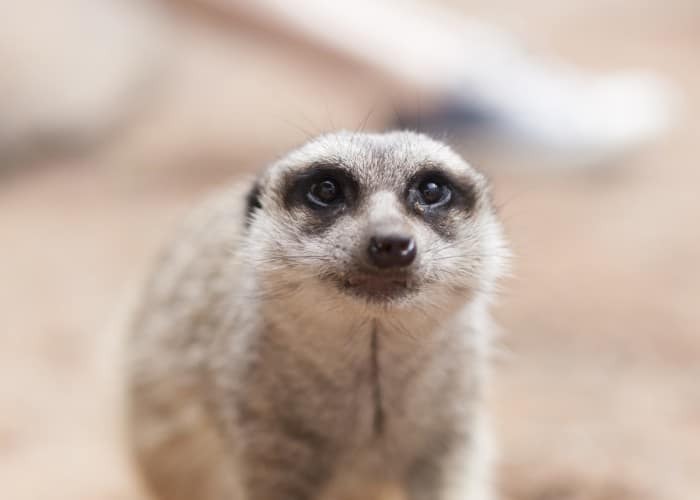 At Symbio you will be treated to exotic animals from around the world as well as native Australian native and farm animals too. 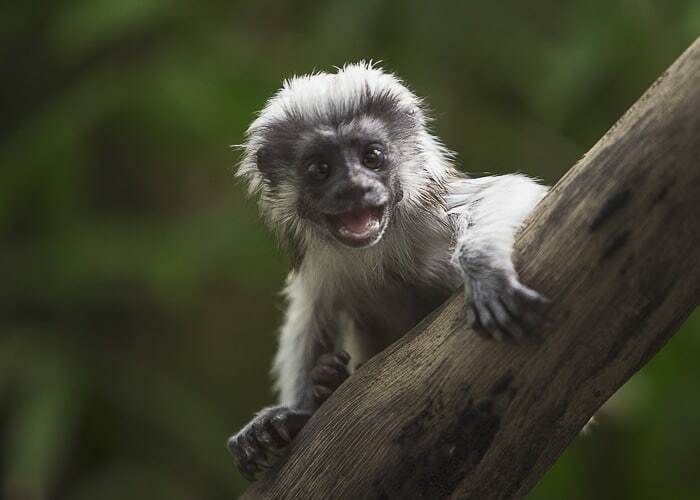 Red pandas, cotton top tamarins (very sweet little monkeys) and there is even a tiger to see. 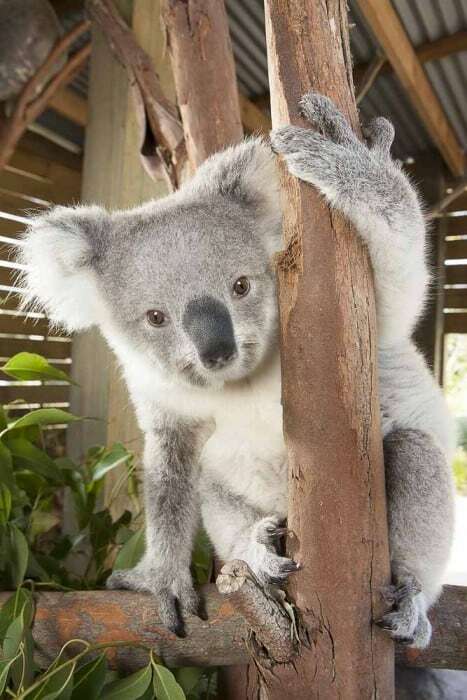 There are koalas, Tasmanian devils, crocodile and snakes, and loads of kangaroos from joeys to mums and dads. 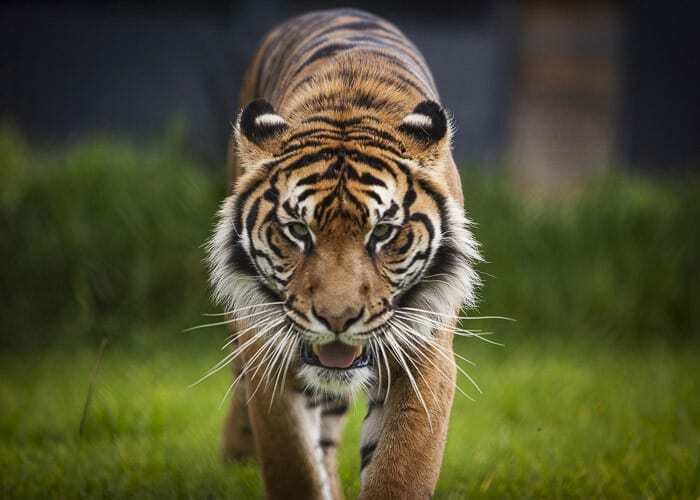 The key to Symbio’s success is the clever design of the enclosures where the animals feel completely at home in their habitat yet visitors of all heights can easily see them. There’s no peering into dark spaces or empty lots trying to find the animal only to see a shrubbery. But not only are the animals easy to see, some of the animals are also easy to pat and even easier to feed! 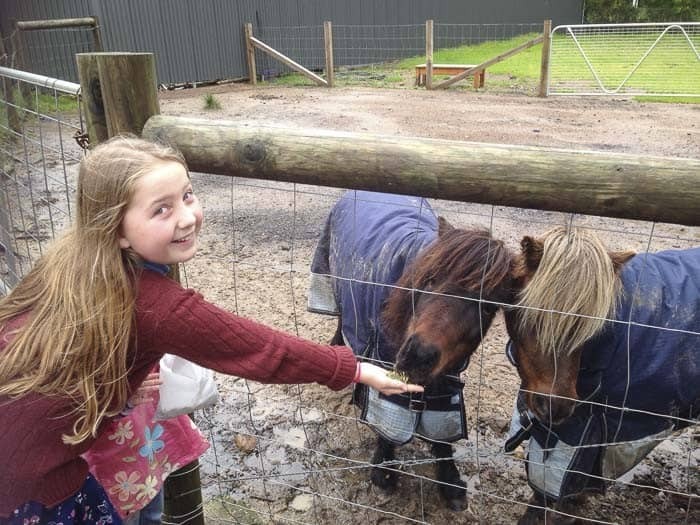 At the entrance you can buy bags of feed for the kids to give to the kangaroos and ponies as you meander around. It’s such a lovely activity to do and one of the highlights so that even the three year olds in our posse who celebrated their birthday together comfortably patted and fed the ‘roos. Symbio is not just for the kids, it’s an all-ages experience. 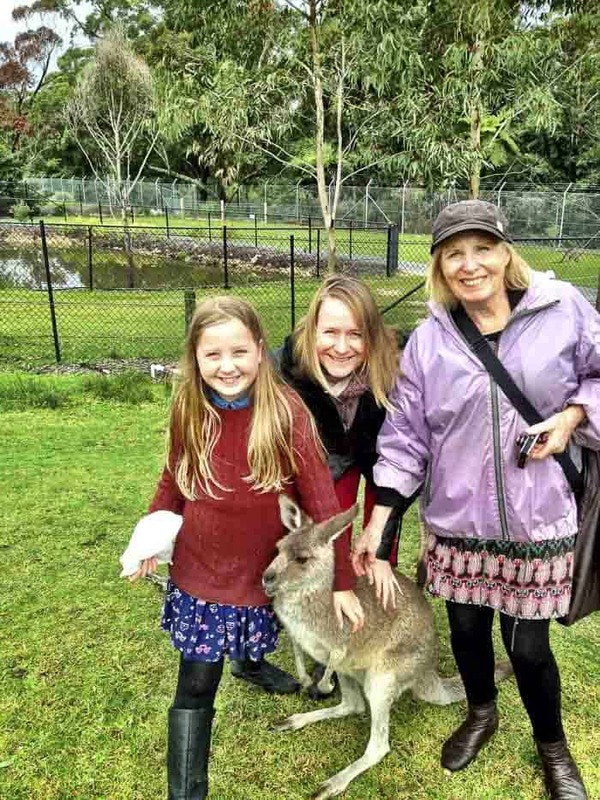 On the day our family visited three generations of us had an absolute ball – not only were the animals fascinating, the kids didn’t stop – it was so exciting for them to be in such an animal rich, interactive and tactile environment. And, if you’ve still got a little time after your visit scoot down past the hang gliders and Sea Cliff Bridge to Austinmer for a walk along the beach. Heading home, drive back through the Royal National Park just to squeeze out the very last essence of a brilliant day trip. STOP PRESS: In Spring 2016, Symbio Farmyard will open its paddock for children and visitors to meet with the baby farm animals. Symbio aims to take young visitors on a journey away from the supermarket shelves so they have a better understanding of where their food comes from in the food cycle. The Farmyard will introduce sustainability as a natural way of life though permaculture, worm farms, rainwater harvesting to re-establish the connection through sensory experiences. Thanks so much Kim. Do pop over to visit Kim’s French Heart Store – kids adore the delightful gifts and toys for sale. 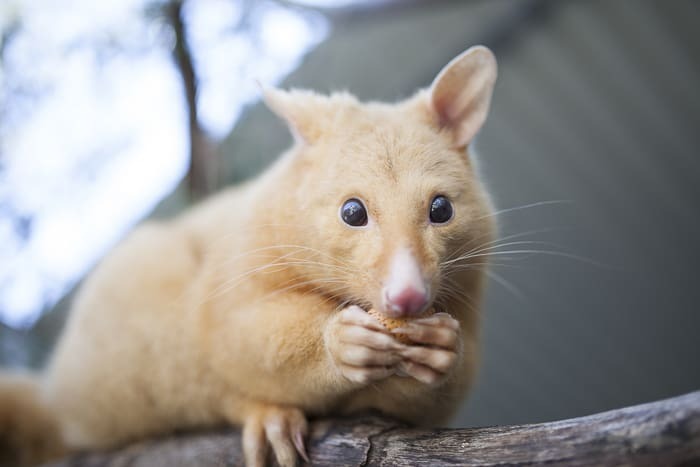 Photo credits: animal photos by Symbio Wildlife Park, and family photos by Kim Cotton – thank you. All the images are absolutely fabulous! 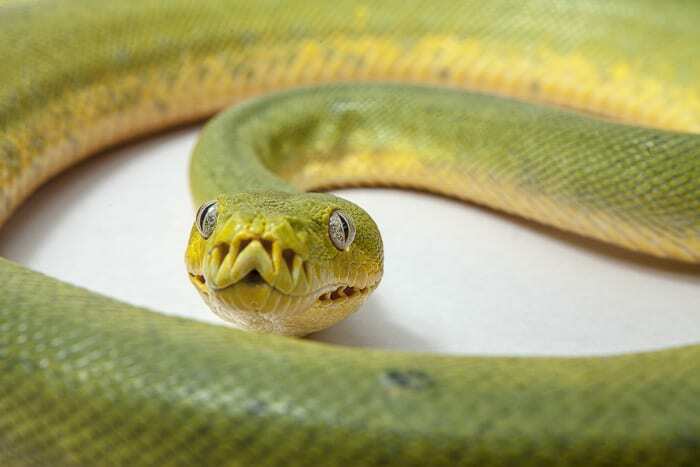 I swear I thought that green snake was ready to bite me. Really great story, I never realised there was a park at Helensborough! Thanks Julie, I haven’t been there myself, we live in the north. But it’d make a good school holidays big day out for us and lots of other families.